New Port Richey Child Support Attorney Howard Iken was recently designated as a Rising Star with SuperLawyers. Mr. Iken is available for free consultations in our New Port Richey office. New Port Richey Child Support Attorney Howard Ellzey has been with the Law Firm of Ayo and Iken for many years. Ms. Belcher has been involved in hundreds of child support cases and is ready to fight for your rights. Attorney Bruce Przepis has been practicing family law in the New Port Richey area for several decades. His extensive experience can be put to work for your case. You may be thinking of filing a child custody, paternity, or divorce case, modifying your child custody decree, or enforcing your judgment. You may be faced with the other parent completely ignoring the Parenting Plan. We can honestly say the next few months will not be the best time in your life. But we can make a difference for you. 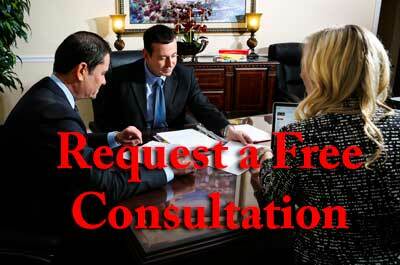 Your bad situation may become better if you hire the best custody attorneys for your situation. We can help. Child support cases are handled at the Courthouse at 7540 Little Road in New Port Richey. Once your case is assigned to the New Port Richey side (as opposed to Dade City), your case will be handled there throughout the future. The New Port Richey divorce court is handled primarily by two judges. There is a large flow of cases but most hearings can be scheduled in a reasonable amount of time. Any case where the Florida Dept of Revenue is involved will be heard by a Child Support Hearing Officer – a person dedicated to strictly child support cases. Helps you maximize your available money to get the most effect in your case. Utilizes the latest child support calculation tools to ensure you pay or receive the proper amount. Our New Port Richey office is right across the street from the courthouse. Ayo and Iken attorneys are always available to give free consultations. Call us today to schedule an appointment. For most couples, when they divorce one parent is ordered to pay the custodial parent child support payments. While this is true in Florida as well, child support calculations are not as cut and dried as they might appear. In addition to facing the loss of your passport, driver’s license and many other rights or privileges, you need to understand how child support is calculated and what burden it may place on your finances. In addition to the calculations for income, the Florida child support laws also take into consideration how much time the child (or children) spend with each parent. When a parent has a child every weekend all year long and is expected to pay support, they will get “credit” for the number of days they have the child in their home. Using this calculation is to ensure the non-custodial parent gets credit for money they expend caring for the child. Florida also allows for recalculations of child support payments in the event the financial condition of either parent changes. These changes must be at least $50 or 15 percent and may be as a result of any type of income that is not public assistance. Another key factor to know is the court must adhere to the guidelines ordered by the state. Unless a child requires support that would be financially difficult such as extended day care or medical expenses due to a disability, the court only has a leeway of five percent of the amounts laid down by the state. If you are in the process of a divorce or you have an existing child support order that you think requires modification, consider contacting the Law Firm of Ayo and Iken PLC for help. We can help you understand how the Florida child support laws apply to your case. Call now to arrange a free consultation with one of our experienced child support attorneys in New Port Richey.